NuMundo teammates talk strategy on the beach platform during our recent retreat in Costa Rica. Welcome to a typical NuMundo team retreat. NuMundo began three years ago, when the founders had a tough decision to make. They were offered a beautiful piece of land in Guatemala, and intended to start an ecovillage on the property. But at the same time, they had already begun work on an online platform that would support thousands of land projects around the world, just like the one they wanted to build in Guatemala. Executing both massive projects well was not an option. Was now the time to focus locally or globally? To dig deep roots or join the tech startup world? Pioneer a place or catalyze a movement? They deeply listened to the needs of the world at this time and chose to catalyze a movement. Today, NuMundo has built a network of hundreds of interlinked impact centers, with more joining every day. An impact center is a land-based project that offers personal transformation, regenerative living education and strives to leave a positive local impact. An impact center could be an ecovillage, organic farm, yoga retreat center, intentional community… you get the idea. 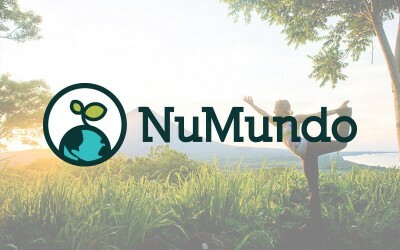 Thousands of individuals use NuMundo to discover unique places to visit, learn, and experience a more sustainable way of life. We built the platform because we love to travel too! Our team of incredibly talented, nomadic developers, designers, project managers and marketers live out the mission of our company. 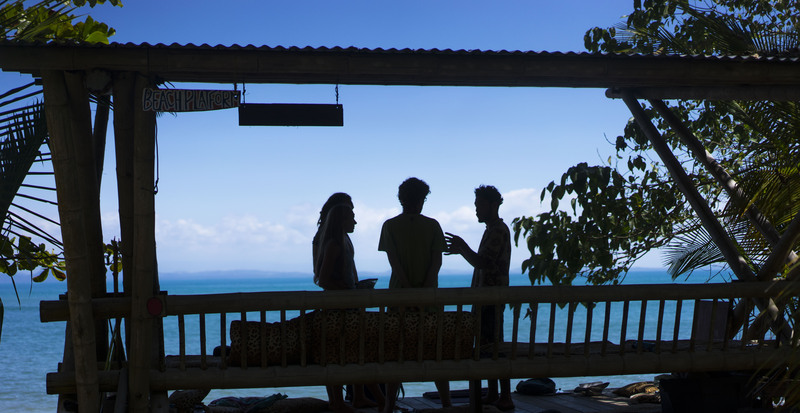 Which is why we host most of our team retreats at ecovillages… with a preference for the ones in tropical paradise. Patagonia, the outdoor company, is famous for its employee culture, as founder/owner Yvon Chouinard writes about in Let My People Go Surfing: The Education of a Reluctant Businessman. At NuMundo, we have taken the concept a step further, when a few days ago we decided to hold a meeting while floating in our bathing suits in the ocean. 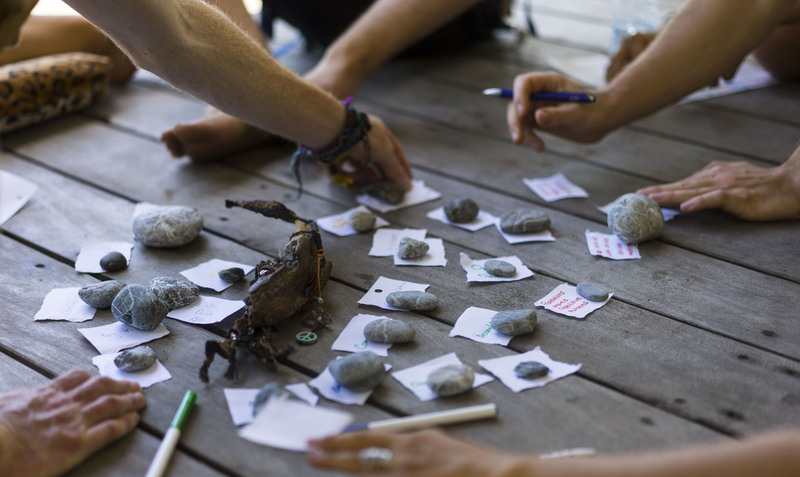 Our friends at Finca Morpho, a beachside permaculture intentional community in Costa Rica, were our gracious hosts during our team retreat this month. Our focus was to clarify our direction and re-structure our growing team. We made the most of every single day, with planning sessions late into the night and many sips of mate to keep us focused. Now that the online platform has launched, we are deep in the nitty-gritty of how to become a model for a new kind of company. As a worker-owned B-corporation using a dynamic equity model, we are well beyond the hierarchal structures that characterize most businesses today. But how do we manage ourselves without top-down structures? Our team is experimenting with a mix of systems – Sociocracy 3.0, Holacracy, Dragon Dreaming, Agile Tools (SCRUM), World Cafe, and a few techniques we made up on the spot! Creating a new paradigm organization requires everyone’s heightened creativity and dedicated collaboration. Releasing tensions: Recognizing that tensions are a natural part of any working relationship, we shared the friction points we have experienced over the past few months in order to learn and grow from them. World Café: How do we increase the integrity and quality of our work? How can we use all our resources, including different forms of capital like people, knowledge, and experiences? What does the world need NuMundo to be at this time? Sociocratic Election: to choose Area Coordinators (Business Development, Marketing, Organizational Development, Core Product, Operations). Goal-setting: Department breakout sessions to develop proposals to determine NuMundo’s direction for the next 3 months. The outcome: our priority now is to build a thriving network in Costa Rica, targeting high quality educational experiences, so there is a nucleus from which our network can spread globally. Surf’s Up! Towards the end of the retreat we took a much deserved break surfing, swimming and practicing yoga on the beach platform. The NuMundo Team takes a much deserved beach day, after a successful retreat! Are you a fellow pioneer in creating new paradigm organizations? What systems and processes does your team use? Leave us a message in the comment box. We’d love to learn from you! So great to meet you all this year! Super impressed with your ethics in regards to business, fun and cocreating a peaceful and abundant world we all wish to thrive in. 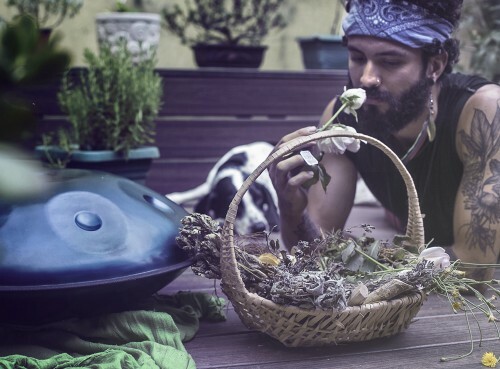 Thank you for your dedication, passion and Mother Earth loving Spirits!